LSI Principal Investigator and Associate Professor in Biochemistry & Molecular Biology, Dr. Eric Jan has won the 2017 Killam Award for Excellence in Mentoring for his passion and dedication to mentoring students to reach their full potential as researchers. Dr. Jan was recruited to UBC in 2006, following his postdoctoral training at Stanford University. 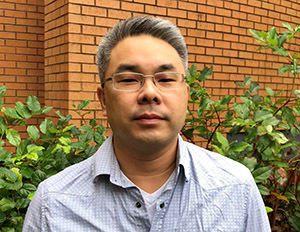 The interactions and impact of viruses with the cells of their host organisms are the focal point of his research program at the UBC LSI. Other research interests in his laboratory include Cancer, Cellular stress, Diabetes, Gene Regulation and Expression, mRNA, Translation. As a mid-career nominee, Dr. Jan was recognized as being outstanding for his mentoring style. He has been the principal supervisor for 10 graduate students and co-supervisor of five additional graduate students. He has also mentored five postdoctoral fellows. Dr. Jan was nominated by the Department of Biochemistry and Molecular Biology and was overwhelmingly praised for his highly supportive mentoring style the strikes a balance between providing active guidance and encouraging freedom to develop and explore their own ideas.